You are here: Home » Exclusive » Content Remains King. All Rise For The King! Content Remains King. All Rise For The King! Advertising Age’s recent Media Issue (Oct. 3, 2011) looks hard at the “Content Is King” motto, questions its relevance in the current digital mix, and offers some insightful observations in the process. 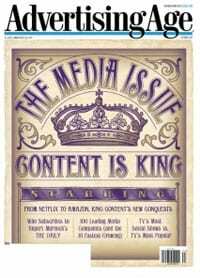 Overwhelmingly though, the various articles and writers support the premise that in today’s media tug of war, content and content owners remain royal. Nonetheless, Neff warns content owners not to get too greedy. If prices increase too far, they will run the real risk of stimulating consumers toward illegal file sharing. Helping to pay for these increased content costs, several cable networks, including Nashville’s Comcast, have quietly, but effectively tightened the video-on-demand (VOD) ad model by disabling the fast-forward option for VOD selections allowing networks to include more VOD viewing impressions in their ad metrics. Great content undeniably still sits on a special throne. And that seems to be true across the entire media realm—print, music, video and online. But content is not like buying bologna in the supermarket deli section, it doesn’t come by the pound. 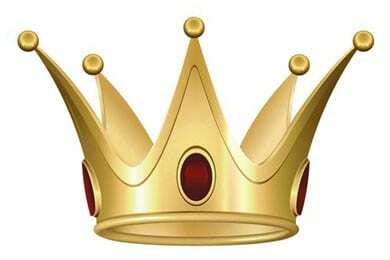 To comfortably wear a crown, it must have a royal spark which attracts attention and audience engagement.